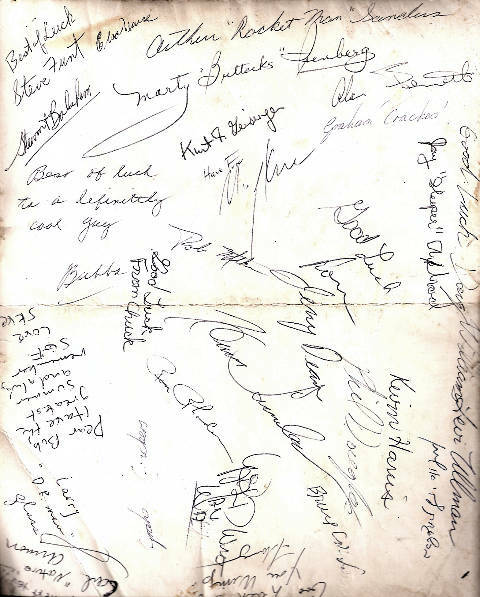 Signatures from the back of Rob Weiss' group picture. 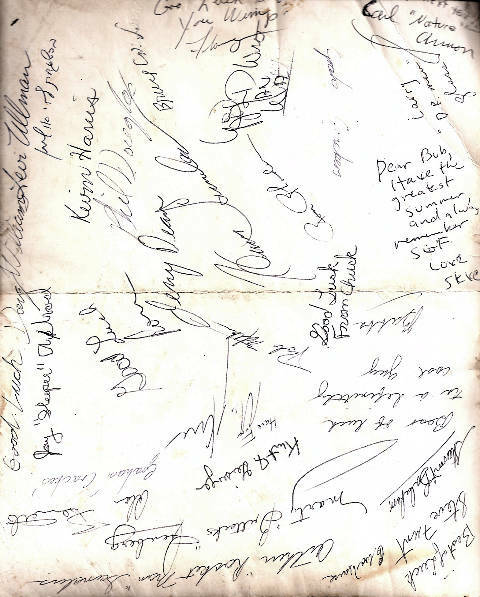 Steve Funt, Jay Axelrod, Al Hankin, Marty Isenberg, Art "Rocket Man" Sanders, Bubba and Kevin from the mess hall and many more. Click on each thumbnail to see 180° rotation. 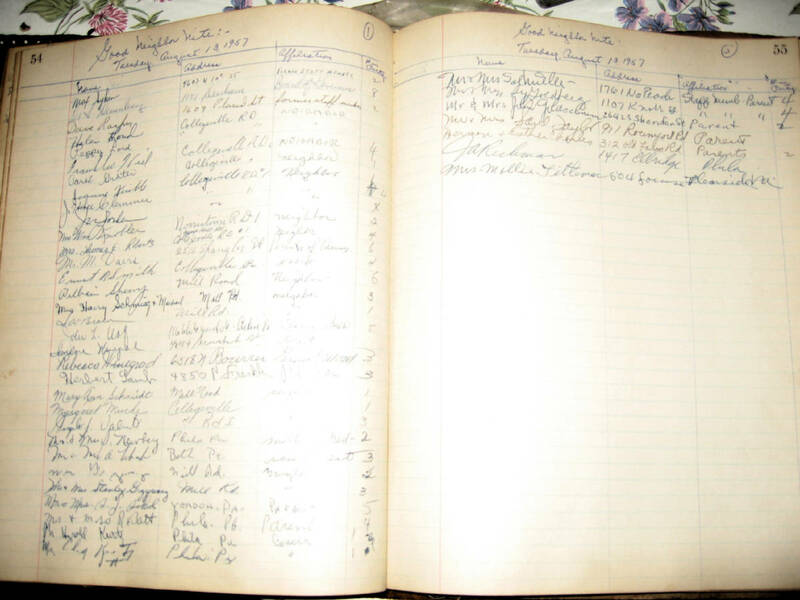 Two pages from SGF VC guestbook: "Good Neighbor Nite," 13 August 1957. 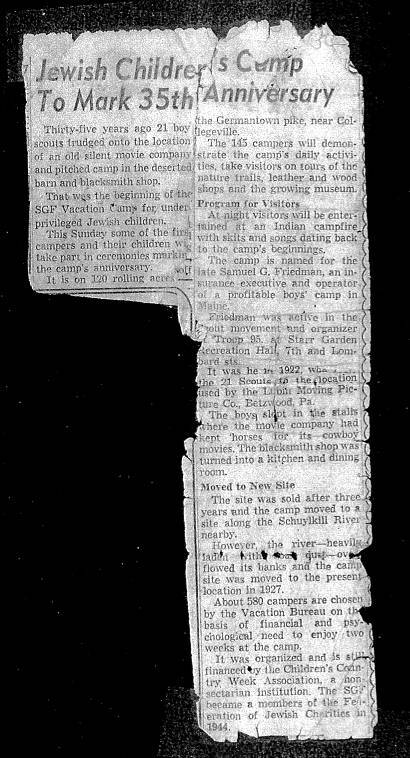 Lots of familiar names: Aaron Newberg's and Dave Charles' parents, Uncle Max Syken and Uncle Ray (former Daily News columnist Dave Racher). click on the page thumbnail to see enlargment. 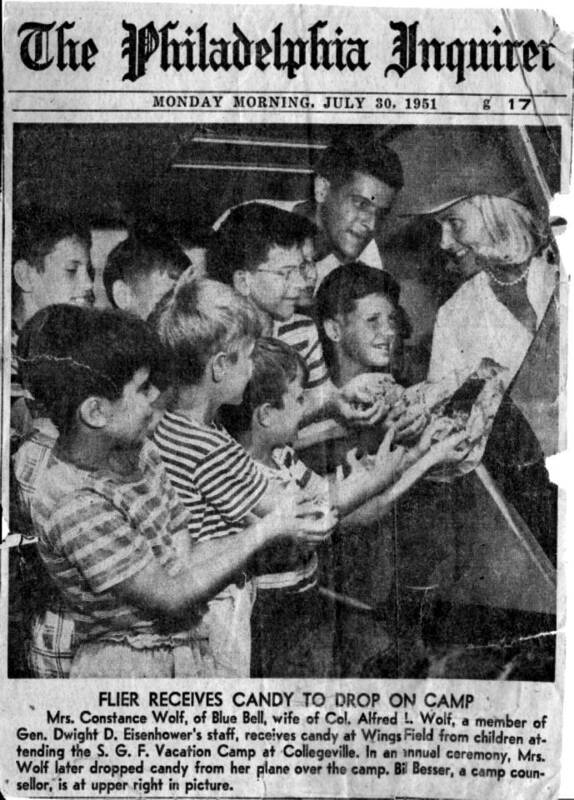 (left) A scan of the Philadelphia Inquirer from Juy 30, 1951 showing Uncle Bill Besser and SGF campers giving candy to the candy drop pilot. click on the page thumbnail to see enlargment. 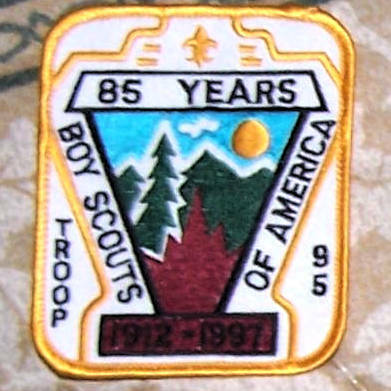 (right) Troop 95 50th Anniversary. 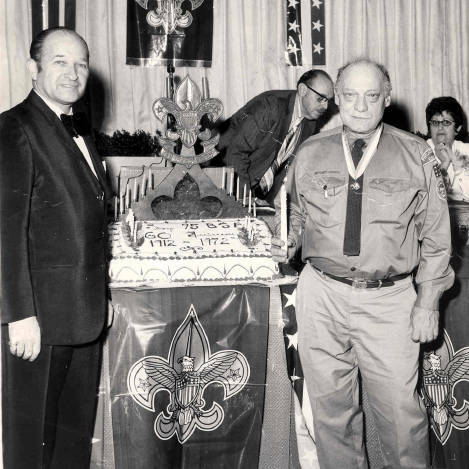 Eddie Chernoff's grandfather Sam Greenberg is on the left, Scoutmaster Karl "Fritz" Stine on the right. 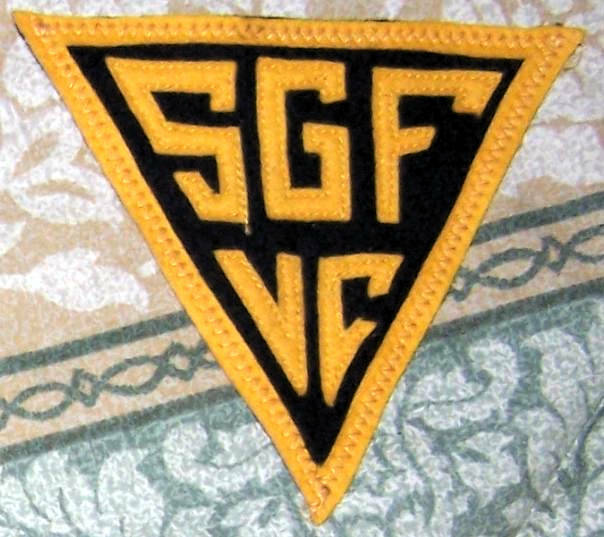 SGF Patches. Click on thumbnails to see enlargements. 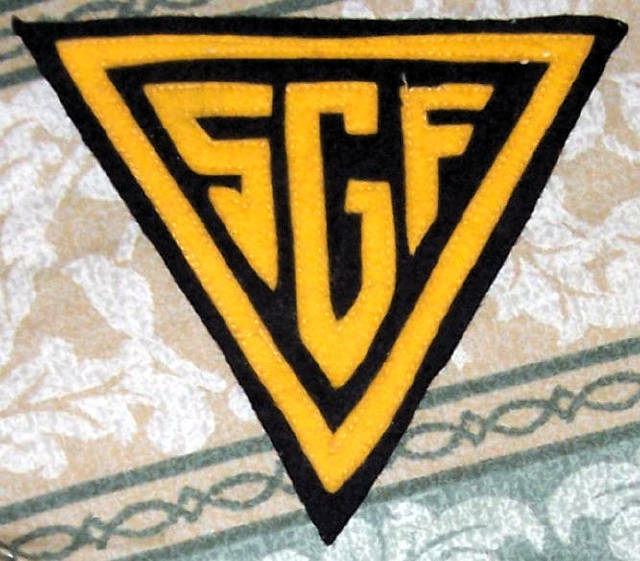 SGF and Troop 95 patches provided by Uncle Shorty from the Martin Steiger Collection. 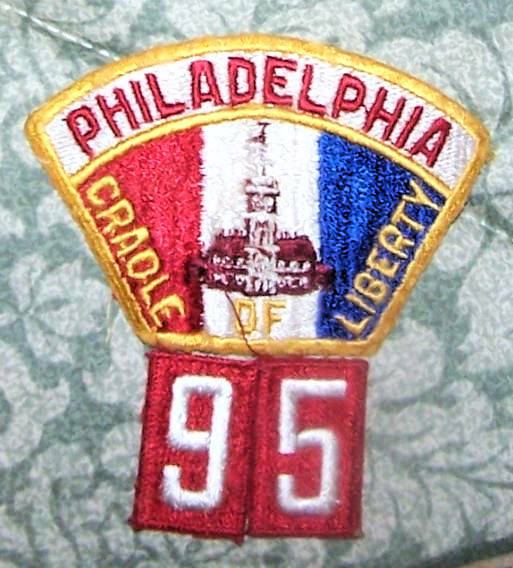 Troop 95 Patches. Click on thumbnails to see enlargements. 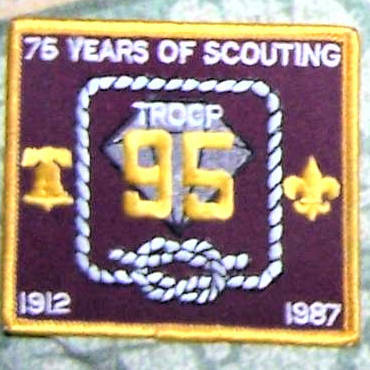 SGF and Troop 95 patches provided by Uncle Shorty from the Martin Steiger Collection. 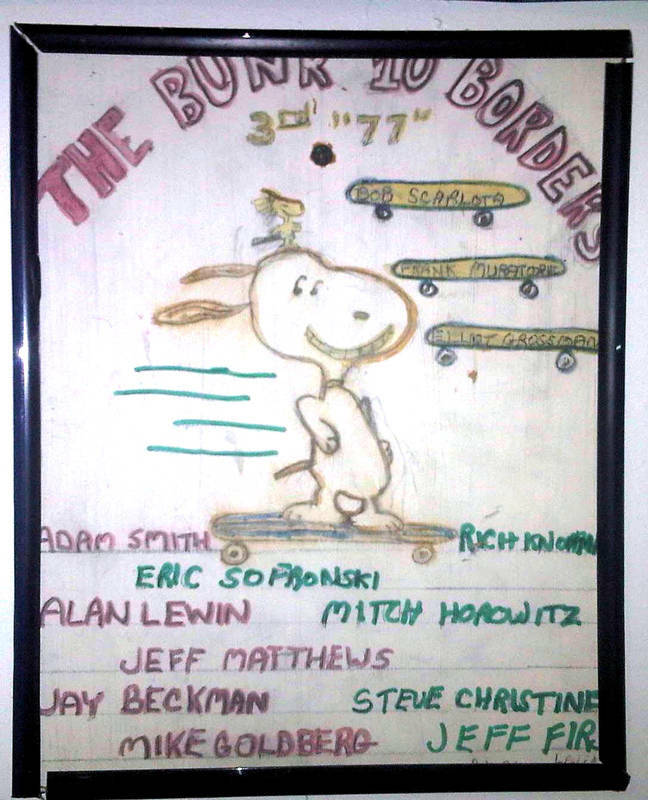 1977 bunk plaque from Alan Lewin. 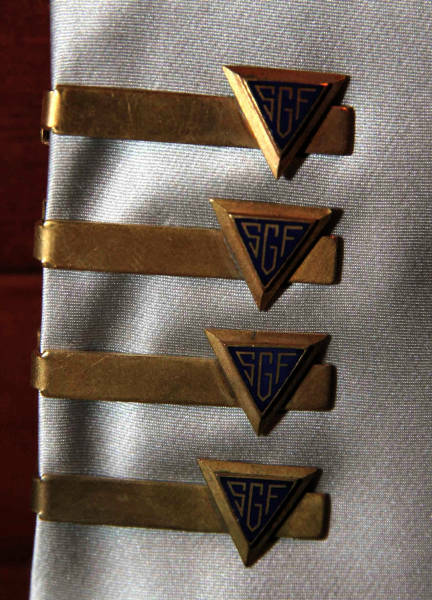 Four SGF tie-bars belonging to Eddie Chernoff whose grandfather. 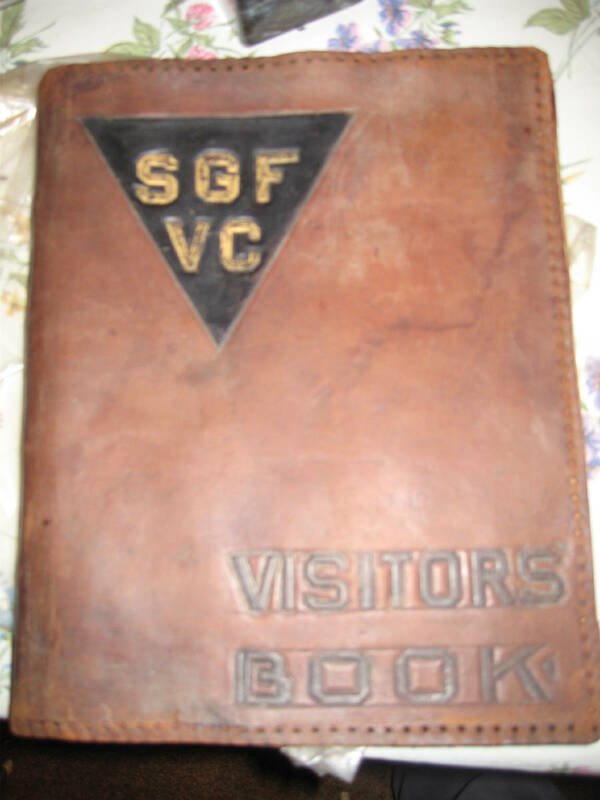 Sam Greenberg, was a former president of the SGF club. 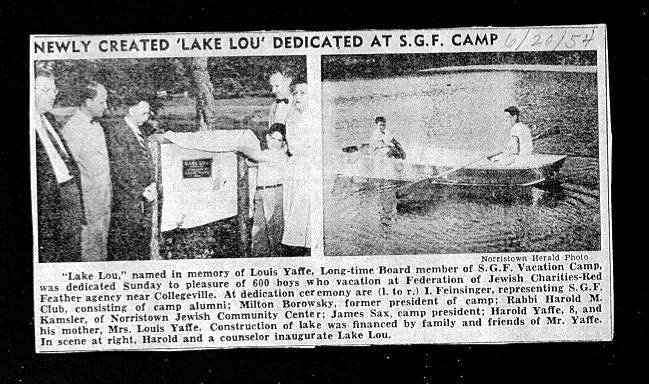 News articles from Lake Lou dedication and 35th anniversary celebration.